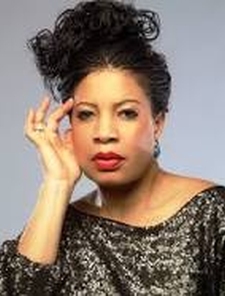 Monalisa Chinda was born in Port Harcourt, Rivers State to Igbo parents. She is the first born in her family of two sons and four daughters. She attended Army Children’s School GRA for Primary and then Archdeacon Crowther Memorial Girls' School, Elelenwo, for Secondary. Both schools are located in Port Harcourt, Nigeria. She obtained a degree in Theatre Arts from the University of Port Harcourt. In 2007 her road to stardom kicked off when she started appearing in the television soap Heaven’s Gate.In 2011, she debuted as Executive Producer in the Royal Arts Academy movie, 'Kiss & Tell', which Emem Isong co-produced with her and Desmond Elliott directed. In 2012, she became one of the first of four Nollywood actors to be featured on the cover of Hollywood Weekly Magazine This November, 2014 the actress is branching out of acting a little bit and is set to debut her Talk Show titled 'You & I with Monalisa."